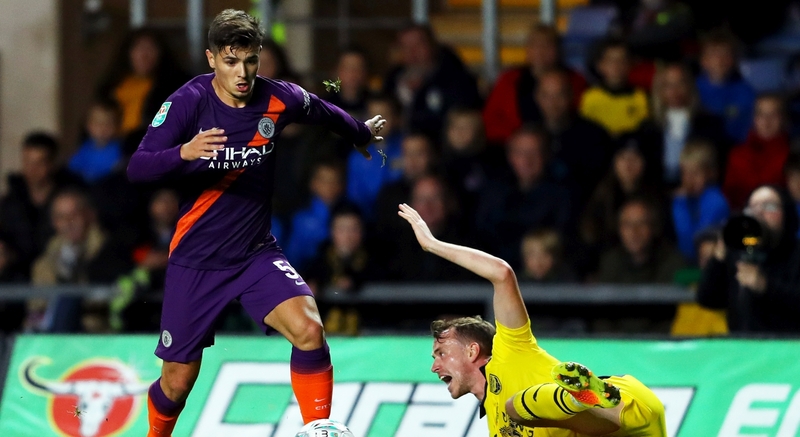 Real Madrid have decided not to wait until June when they could sign Brahim Diaz for next to nothing when his Manchester City contract expires, and are on the verge of completing a deal for the teenage prodigy. Speaking to El Chiringuito TV, famed Manchester-based journalist Jose Alvarez, who has been on top of the whole Brahim situation, Pere Guardiola – the player’s agent and older brother of Pep – is in Manchester to conclude the transfer. After reports of Manchester City wanting €20 million while Real Madrid were only willing to cough up €10 million, Alvarez says Los Blancos will now pay €15 million (£13.5 million) plus variables, a significant fee for a 19-year-old soon to be out of contract. Madrid’s urgency to sign Brahim stems from a wariness of the Guardiola family having an ‘affection’ for Barcelona and a worry that their hated rivals could steal the attacking midfielder from under their noses. Although Alvarez did not offer any specific details on when the transfer will be finalised, he was convinced that the figures are true and a deal will be done soon.